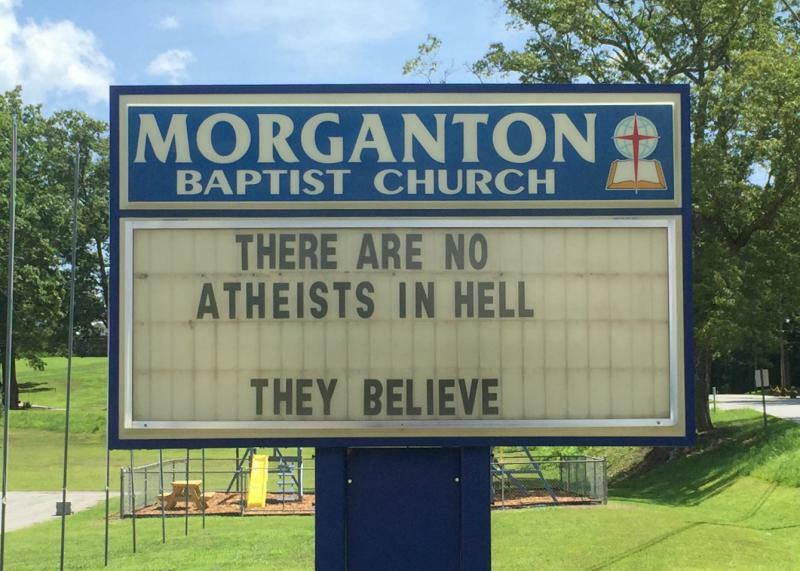 A sign in front of the Morganton Baptist Church reads, "There are no atheists in hell. They believe." Kristie Macrakis is on a personal journey in north Georgia. A transplant from Boston and a self-described “pagan agnostic,” she decided one way to learn more about the people who live in her community was to go to church with them. Macrakis calls the project “Six Churches, Six Miles, Six Weeks.” She has been writing about the experience on her blog. We talk to her about her spiritual journey. Plus, Macrakis is also an expert in something else which has nothing to do with religion. Host Celeste Headlee tries to uncover what it is as part of our occasional series "No Notes." Kristie Macrakis talks about her exploration of churches in north Georgia, and Celeste Headlee tries to guess Macrakis' area of expertise. 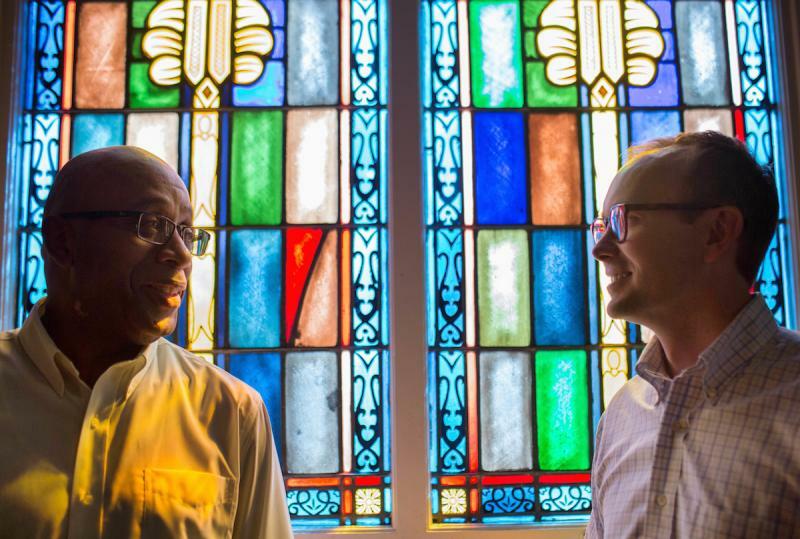 Two Baptist churches in Macon - one black and one white – are located right next to each other. Both churches have been segregated since the end of the Civil War. Now, the leaders of the church want to bridge the racial divide. They will lead joint discussions with church members on racism in the history of the U.S. and their congregations. We talked with the two church leaders: Rev. A significant demographic change occurred in the past eight years since Barack Obama first ran for president in 2008. 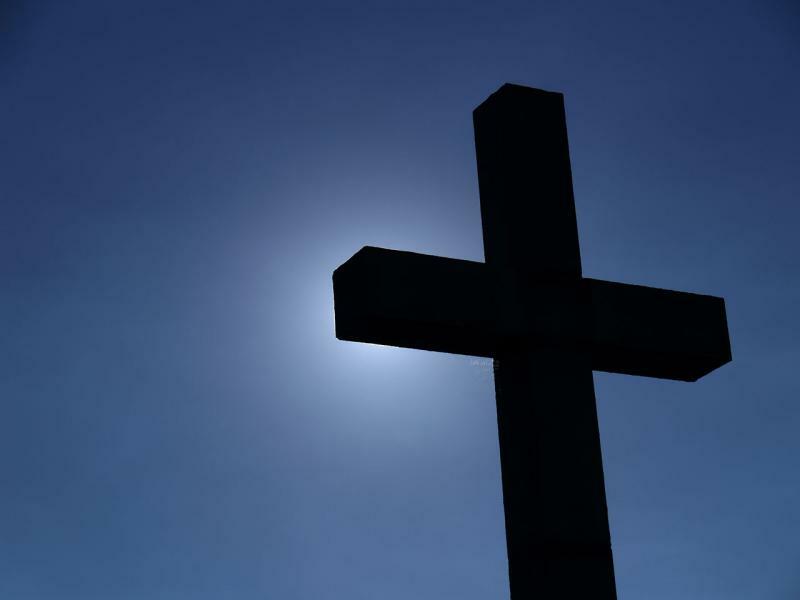 White Christians went from making up 54 percent of the country to comprising less than half. This decline is important in understanding today’s political landscape, according to Robert Jones.